Taiwanese lighting manufacturers are sharpening competitive edge by rolling out unique products, deploying manufacturing techniques with raised efficiency or expanding market scope, efforts of which have resulted in gains for many. Among them are Home Resource Industrial Co., Ltd., Paul-Yu Industrial Corp., and Zhong Shan Kai Jia Lighting Co., Ltd.
Home Resource Industrial Co., Ltd.
Home Resource Chairman Sam Chen (the first from left)is leading his company to shoot for market share in Taiwan. Home Resource, a winner of the 2008 Red Dot Design Award of Germany, has been vigorously building its own brand by promoting an eponymous line of lighting products at high-profile chain stores across Taiwan, like B&Q, Tsann Kuen, E-Life Mall, Working House, Carrefour, A Mart, and Showba. Also aware of the importance of public relations and building goodwill via sponsoring leisure activities, the company has organized Home Resource Cup golf tourney for 18 years specifically for its distributors and contractors as means to strengthen partnerships. 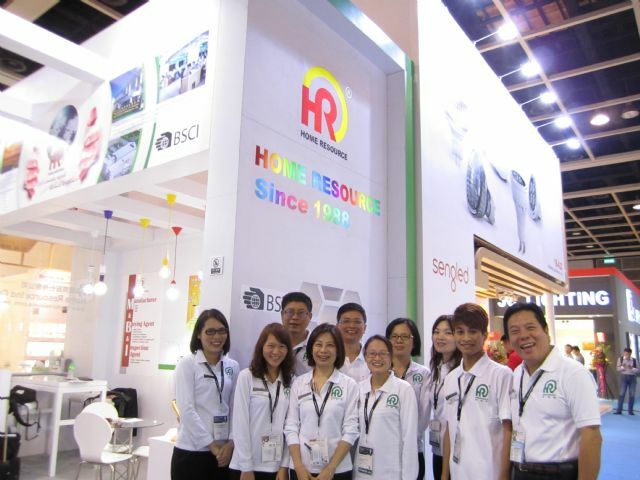 Founded in 1988 in Taiwan, Home Resource had begun a program to build sales on the island in 2009 after making its brand recognized in 60 countries, being mainly a supplier of LED outdoor-lighting and mood-lighting. Over the past two decades, the company has achieved a solid track record, having won the Red Dot Design Award of Germany, Excellent Quality Award of Spain, and Good Design Product of Taiwan, as well as around 40 patents in European Union, 10 in the United States and over 200 in China. Among the award-winning products include the TLED-381 Reishi LED light and CLED-002K Iced LED light, the Penguin LED desklamp, the Mushroom LED portable lamp, the JD Light multifunctional lamp, and a wirelessly-recharging table lamp. The Iced LED is a portable, multi-functional LED light emitting white light normally as well as RGB mode for mood light. Its iceberg shape emits rainbow colored reflection, with the speaker and FM radio powered by dry-cell battery or USB cable. The Reishi LED emits white and RGB illumination to create a colorful, changeable atmosphere for home. The 1.8W Penguin desk lamp needs only 3 AA batteries to work for eight hours, with high brightness and 6000K color temperature to offer fatigue-free light for reading. Besides, the cordless lamp doubles as a portable emergency lamp. The Mushroom lamp, weighing only 400 grams and cartoonishly shaped for effect, has triple power supply modes: AA battery, USB and transformer. The JD Light multifunctional lamp is patented for being rechargeable with its dedicated 12V battery pack or cigarette lighter receptacle for excellent portability. Recharging takes around 12 hours to enable 10 hours of operation of a single side or half that to light both sides. The wirelessly-recharging table lamp for mobile phones incorporates the Qi inductive power standard developed by the Wireless Power Consortium to transmit inductive electricity over distances of up to 4 cm. Mobile phones that can be recharged by the lamp include Samsung, Nokia, HTC, Google LG, LG, Sharp, Iphone, Xiaomi, and Asus. The lamp has 12 0.5W SMD 5630 white LEDs to emit 380 lumens of 4000K white light, with also a 9W nightlight. All these unique lights have been developed based on the company's adoption of the well-known “blue ocean” strategy, which underscores product differentiation and market segmentation. In 1992, the company was the first lighting maker in Taiwan to migrate to China to open a branch in Ningbo in the coastal province of Zhejiang, and then 12 years later set up a factory in Dongguan, Guangdong Province to make LED lighting fixtures, becoming the first of its kind to do so in China, where it runs a showroom of some 4,500 square meters. Implementing management system in accordance with the ISO9001:2000 international standard and supplying products meeting GS/TUV, CE, ETL, cUL electrical safety standards, Home Resource in recent years has been working to evolve into an all-round lighting provider by also offering services as goods inspection, materials sourcing, payment, and business consolidation. Paul-Yu makes lanterns out of a wide variety of exotic materials. Paul-Yu makes lanterns painted with calligraphy and motifs of Chinese and Japanese origin, along with Western themes. For children, its lamps come with fuzzy, warm motifs. Besides using a variety of artistic motifs, the company adopts virtually endless materials, over 10,000 kinds, in combinations to create a line of products, including for examples paper, wood, foliage, stone, rattan, seashell, copper, iron, ceramic, PVC, polyresin, glass, bamboo, cloth etc. The company sources materials from countries known for exotic origin, enabling designers to render ethnic themes and flavors in lamps. It buys calico from France, botanic paper and coco bark from the Philippines, and cotton paper from Taiwan. At lighting trade shows worldwide, Paul-Yu always captures the attention of visitors with craftsmanship obviously embodied in decorative lanterns made out of these materials and painted with artistic motifs and calligraphy. At international trade fairs, the firm usually curtains exhibits to showcase unique and striking products to VIP buyers, which also keeps them focused on products to minimize disturbances from window-shoppers. “Our catchy products never fail to attract all kinds of visitors, which is a positive sign; but we don't want our salespeople interrupted by the merely curious, who likely can't help to ask questions about our artistic designs,” Yu explains. 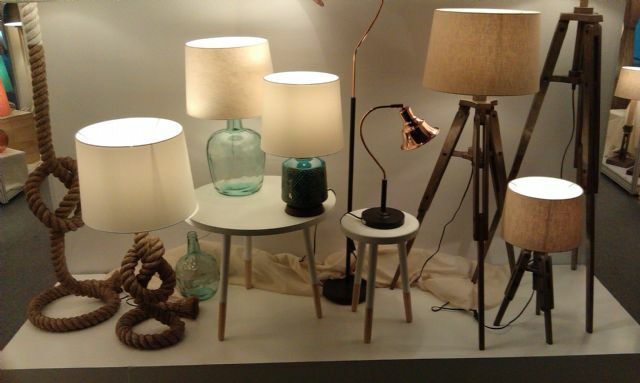 The company has introduced over 10,000 designs of decorative lamps over the past three decades since its establishment in 1978. The heart and soul of the company is its 10-member design team, including Yu himself, and one specialist each in France and Britain, with the majority of designers working in the Philippines. The company's lamps meet some 40 quality specifications and safety requirements, including CE, GS, and UL, making them marketable in over 82 countries including the United States, Europe, and Japan. In 70 nations, its products are available under the “TAROGO” brand (named after a national park in Taiwan), mostly in Europe and North America. It ships about 1,500 containers annually. In keeping with the green spirit, many of the lanterns displayed by Paul-Yu at trade fairs come with compact fluorescent and LED bulbs. Paul-Yu makes all its products in the Philippines at the four factories inside the Mactan Export Processing Zone in Cebu, with 10 subcontractors outside the zone. The company's Filipino operations have integrated production capable of metal-wire processing, molding, electroplating, lacquer mixing, and package design. Its subsidiary, Paul-Yu Philippines Corp., is now one of the biggest makers of household decorative lighting, household decorative articles, and furnishing in Asia. Zhong Shan Kai Jia uses efficient production equipment to make its products. Zhong Shan Kaijia, founded in 1976 in Taiwan and transplanted to China in 1990, specializes in recessed lights, ceiling lamps, outdoor lanterns, metal chandeliers, poly-resin lights, wall lamps and street lamps. The company designs all its products in-house, having won over 100 patents in China. Heading the company's strong design team is the chairman, Jackie Chen, who had worked as mold-making apprentice until opening his lighting business. With the mold-making experience, I'm capable of designing molds for new products with fairly low failure rate and we spend around NT$50 million (US$1.6 million) on molding, said Chen. His company has begun using 3D printers to turn out prototypes before building molds for volume production, a means that Chen says has significantly helped minimize development of unwanted products. Kaijia's products feature simple exterior, functionality in addition to easy installation. One of its latest LED recessed lamps, for instance, comes with slim exterior to eliminate need to build a recess in ceiling to install the light. Users simply connect the two wires to the existing wires in a ceiling to complete the installation. Also the light has precisely fitting parts to enable users to unmistakably assemble and install the light; while the QR code on the LEDs provides customers with clear information on origin of the chips. Like most of its competitors, the company has integrated lighting fixtures with LEDs. High-voltage LEDs allow the company to reduce size of lighting fixtures due to the high-voltage circuitry that eliminates bulky transformer. Taiwan-made lens with matte finish allows the lamp to evenly emit non-glare light. Motivated by eco-sensitive trend, the company hasalso begun supplying streetlights powered by solar panels and controlled by sensors. 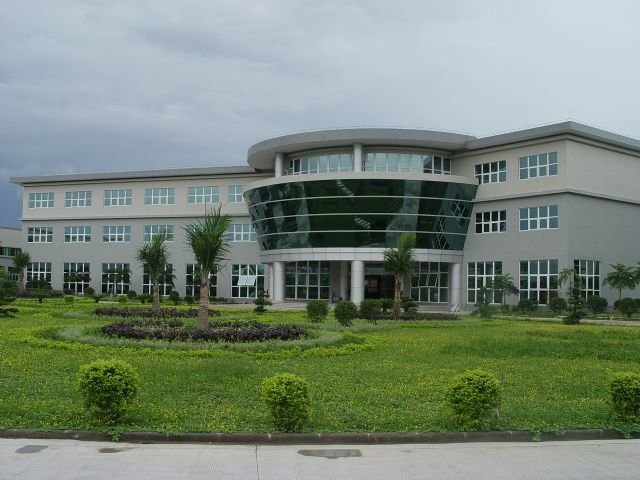 The company runs a factory on 777,000-square-feet in a campus at Nan Lang Town in Zhong Shan City, Guangdong Province, China, including a poly-resin, a metal-tube bending, and a painting facility, which emply some 300 workers doing molding and various processing. An automated paint-coating line costing some NT$50 million (US$1.6 million) has helped the company to trim labor cost. The ISO9002-certified company has over 15 years experience in poly-resin processing to have built solid reputation the field. Its paint facilities meet ISO14000 standard and its electroplating uses the RoHS-compliant hexavalent chromium materials. Besides completing 70 percent of production in-house, including defect inspection, Kai Jia has spent around NT$5 million (US$151,000) computerizing management systems, including installation of enterprise resource planning (ERP). Its high management standard is also evident in its employee dormitory, now touted as role model of manufacturers in Zhongshan City for superior hygiene and organization. It also upholds high eco-standards to run a waste-recycling facility to process waste generated during manufacture into reusable materials. Europe is the company's major export destination, with Russia and the Middle East playing minor roles. The company has authorized dealers in Sweden, Norway and Greece.